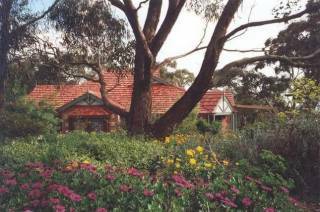 Nestled amongst trees in the picturesque Clare Valley wine region, an easy 1.5 to 2 hour drive from Adelaide, St Helen’s Country Cottages set on nearly 4 acres offers bed and breakfast accommodation to suit all tastes. The main home, similar to an old Englilsh Manor House, features the Victorian Period giving you the atmosphere of the early 1800's. 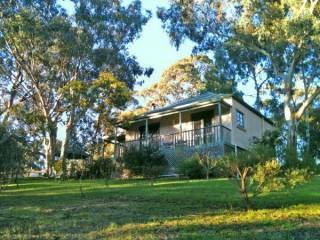 This 2 Bedroom, 2 Bathroom (1 with a person spa) cottage is the perfect getaway. 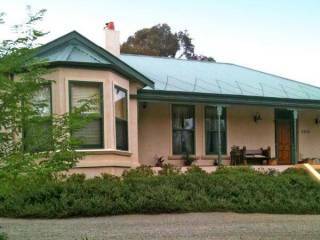 Country B & B is a self-contained one bedroom 'house' in the heart of Clare and walking distance to the Riesling Trail, Main Street and all facilities while still maintaining a relaxed and private atmosphere. St Helen's Country Cottages is a Bed and Breakfast consisting of a private, guest suite with it's own access in the owners home and 3 self contained cottages. On nearly 4 acres by restaurants and wineries. 3km from the centre of Clare. This delightful one bedroom cottage is just gorgeous. 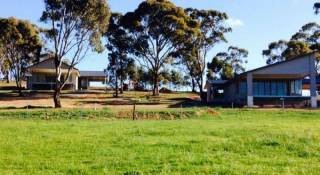 With a lovely view from your back deck through the trees to the Riesling Trail relax with a glass of wine and just watch the world go by. Perfect seclusion for a romantic couple! 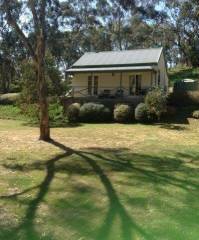 Nestled into the base of a small hill, overlooking mature trees and located on the Riesling Trail this secluded cottage for two is the perfect romantic hideaway. 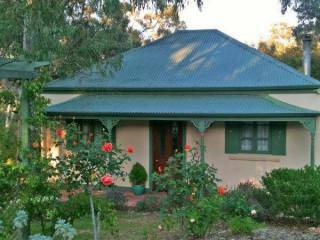 Romantic, secluded B&B surrounded by bushland, yet walking distance to Clare. 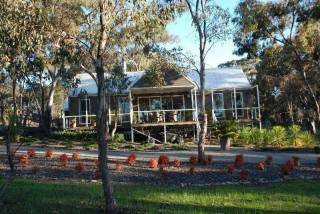 Pet-friendly caravan park offers an excellent range of accommodation. 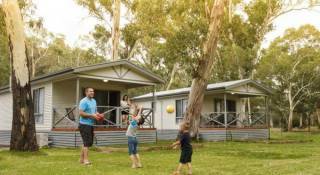 Our 4 star deluxe family and balcony cabins feature a verandah, the perfect setting for reflecting on the day that’s been and planning the next. 4 Luxurious 2 bedroom villas are a short drive to the main street of Clare with shops, cafes, hotels & restaurants. 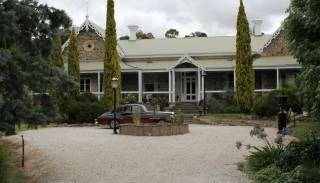 Wineries and Cellar doors and the famous Riesling Trail at your finger tips. Book as a group or make it a Romantic get away. 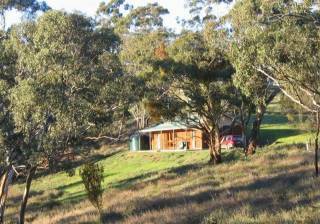 The "Clare View HOUSE” (sleeps 8) is a 3 bedroom, 2 bathroom Bed and Breakfast with 360 degrees of amazing views on top of a hill, close to everything you need. Spacious living area and bedrooms. The house is wheelchair friendly adapted. Clare View COTTAGE is a free standing, 2 bedroom, 2 bathroom B&B / self contained holiday home with great views and wine theme. 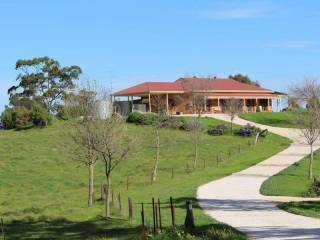 Indoor spa bath, close to Clare, restaurants & wineries. Rural setting, peaceful and quiet. 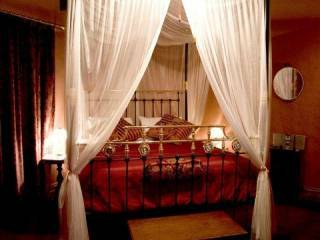 Magnificent dining and accommodation experience with three luxurious double rooms, all with ASDL connection, Thorn Park by the Vines sleeps six people, and rooms can be booked singly or as a group. Molly's Chase offers romantic log cabins in a beautiful location, near great wineries. Cabins are self contained and well behaved dogs are welcome. 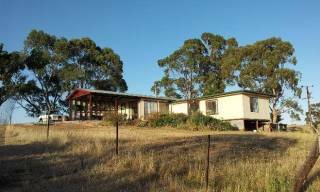 Quality 5 bedroom federation home nestled in spring gully on 100 acres of large gum studded valleys. 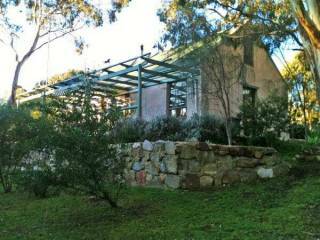 Large outdoor pergola with 5 person spa, bbq and pizza oven, 8×5 billiard table. Evaporate cooling, all rooms with ceiling fans, large combustion heater. 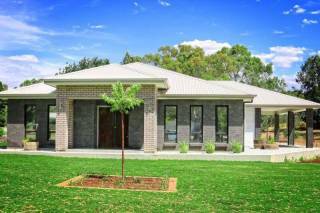 Serendipity@7hill is a spacious contemporary home offering 3 bedrooms 2 bathrooms as self-contained accommodation. Brown’s House B & B, just a few minutes drive from Clare, is nestled in the garden of historic Boconnoc Park. Brown's House is a faithfully restored, century old, pressed tin cottage that retains the charm of a bygone era with all of the modern comforts.